We are pleased to announce that the new Microsoft Planner mobile app is now available for iPhone and Android phones. Starting today, current Planner users can use this companion app to view and update their plans on the go, addressing feedback we’ve heard since the launch of the Planner web app. For people who are new to Planner, you can first get started by visiting tasks.office.com. Once you’ve created your plans in the web app, you can view and update those plans in the mobile experience. In the coming months, we plan to add push notifications, the ability to create new plans from the mobile app and integration with Intune. For other feature requests, please visit our UserVoice page and submit your idea. And as always, visit the TechCommunity page to communicate with other Microsoft Planner users and the product team. A. Planner provides a simple, visual way to organize teamwork. 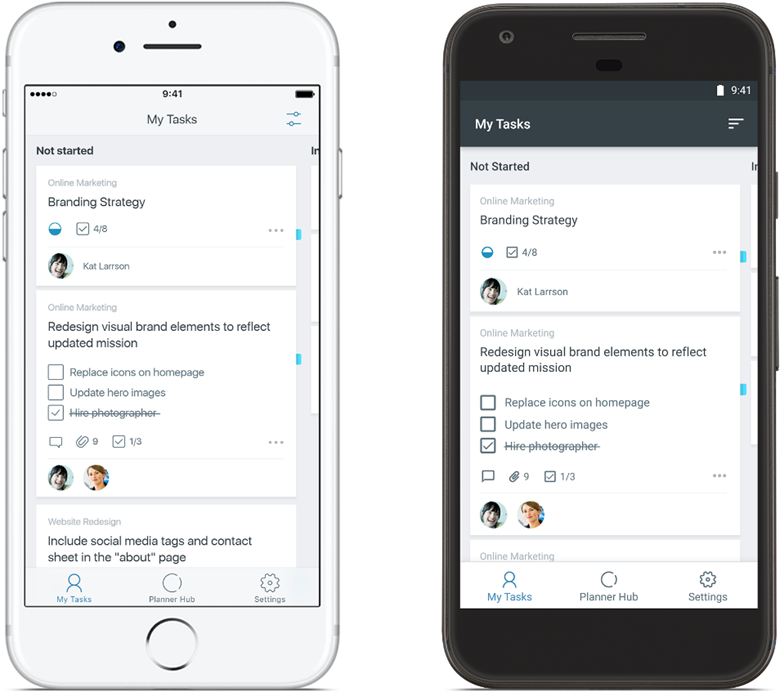 The Planner mobile app enables your team to organize and assign tasks, share files, chat about what you’re working on and get updates on progress. Q. How can I access Planner? A. If you’re new to Planner, you can access the web app via tasks.office.com to start and build your plans. Existing users can access Planner through both the web and mobile experiences. If you don’t have an eligible license of Office 365, please visit our product page to learn more about which subscriptions include Planner. If you have an eligible license and would like to learn more about Planner, please visit our support page. Q. Which features are coming next? A. Updates including push notifications, the ability to create a plan and Intune integration are coming soon, and we look forward to hearing your feedback about how we can improve the Microsoft Planner mobile experience. Q. Where can I learn more about the functionality of the Planner mobile app? A. Please visit iPhone support and Android support to learn more about features and functionality of the mobile app.